A free service for US veterans and active duty military personnel. Why Apply for a VA Home Loan? What are the VA Loan Limits? Now is a great time to move forward with an El Paso VA Home Loan purchase. USVA Realty makes the entire transaction as easy as possible from start to finish. All you have to do is press the “get started” button on this page and send us your information. A VA specialist will call you to get you set up with your El Paso VA Realtor. When we call let us know if you need help with VA lending. We can have an El Paso VA Mortgage specialist call you at your convenience. Although we are a real estate brokerage and not a lender. We have a network of VA approved lenders that are the best in the state. Almost all of our clients are using their VA home loan benefits to purchase their home, so we have great lenders ready to go to work for you. Most likely they can qualify you within a day or two. Just like the rest of the state, the El Paso VA loan limit is $484,350. 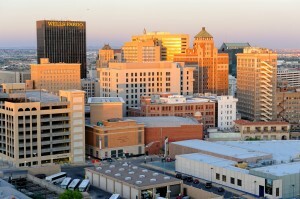 If you need a Texas VA loan in El Paso we can help get you pre-qualified. If you are just starting the process and don’t know what to do, let us know. That’s what we’re here for! Many of our clients are first time home buyers, so we can answer any of your questions about buying a home and getting your loan. Your Texas VA home loan can be used to purchase an existing home in the El Paso area, a new home or a VA approved Condo. El Paso and it’s surrounding areas are served by 5 military specialized Realtors who can turn your Texas VA home loan into the home of your dreams. Besides the active 34,000 active duty personnel at Fort Bliss, El Paso has almost 43,000 veterans. Get Started and let us help you today. Find out more about purchasing with your Texas VA home loan. …The first thing you said to me was “Thank you for your service,” that means a lot. You knew we wanted the perfect house fast, and we got it. …made me feel good to know I had somebody in my corner. …knew my hardships coming out of the service… empathized with me and helped me into a house.